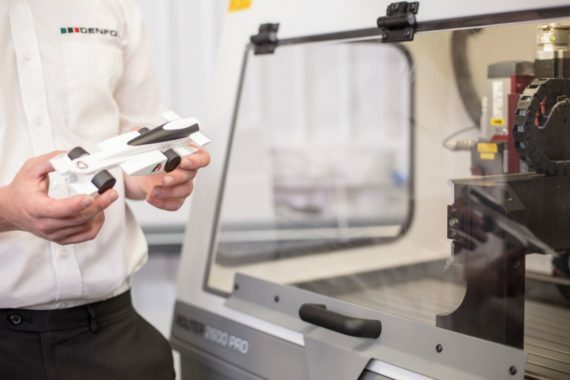 We have developed specifically-designed CNC milling machines, lathes and routers for education & training; and these Denford products are a familiar feature in STEM and Engineering laboratories throughout the world. 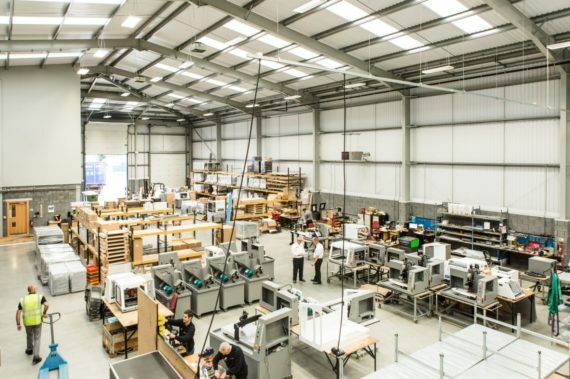 Traditional CAD/CAM software and hardware solutions are our core business, with the Router 2600 Pro machine being our best-selling CNC machine. The all-round flexibility of the product appeals to schools, who also appreciate the fact that it can also cut non-ferrous metals, as well as the more popular resistant materials such as hardwood, softwood, plastic, modelling foam and acrylic. In addition to these core products, Denford is able to offer 3D Printers, Laser Cutters, 3D Scanning solutions, and Cutter/Plotters. Our belief at Denford is that a ‘hands-on’ approach to cross-curricular activities lies at the heart of STEM-based Teaching. As such, Denford Limited are ‘Proud Founders and Sponsors’ of a number of innovative and unique educational projects, including the “Land Rover 4×4 in Schools Challenge,” the “Jaguar Primary School Challenge” and, most importantly, the “F1 in Schools STEM Challenge” which is the world’s most exciting STEM-based project. These projects are aimed at stimulating students’ interest in and understanding of design and manufacture, and clearly demonstrate our dedication and financial commitment to encouraging and promoting student selection and enjoyment of STEM-based subjects and Engineering Courses. Now operating in over 44 countries worldwide, the F1 in Schools STEM Challenge was launched in 2000 and engages and motivates students through the magnetic appeal of Formula One™. F1 in Schools has a proven track record in raising achievement in cross-curricular STEM-based subjects – driving up standards by bringing real excitement to the process of learning. F1 in Schools is a ‘real life’ industrial project, which provides students with the opportunity to learn about new technologies and materials and to investigate how and why products work. At a time of rapid technological advances, schools are constantly searching for new and affordable technologies and materials to allow students to investigate, practically, how and why products work – teaching them the knowledge and skills needed to turn their creativity into functional ‘real life’ products. At the same time, we all know young people that have asked for, and deserve, greater choice from the education system, in terms of the development of personal, thinking and problem solving skills, and for school-based learning to have more relevance to the world of work. Employers have been crying out for recruits who understand their sectors and who possess the transferable skills to succeed in it. With this in mind – looking to the future – Denford will continue to focus on the educational market – tailoring our products to meet the ever-changing demands of schools, colleges, universities and training establishments worldwide – with innovation and new product development remaining as key strategies for the company.